This is a short quiz that will help determine what type of shopper you are based on how often you go shopping and how you answer some tricky shopping questions. Sometimes price beccomes a nonfactor to shopaholics and they end up with so much. How often do you go shopping? When you go on vacation do you go to outlets faithfully? Would you prefer others to shop for you? Do you ever use coupons on nonfood items? Is shopping online a habit for you? 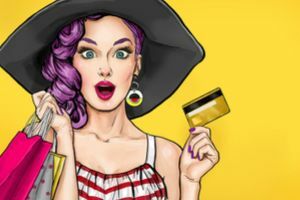 This is an exciting quiz that will help determine whether or not you are a shopaholic.Shopping can be extremely fun to some and dull and boring to others. Do you wait for an item to go on sale before you purchase it or do you immediately buy it?Take this quiz to find out how much of a shopaholic you are or are not.